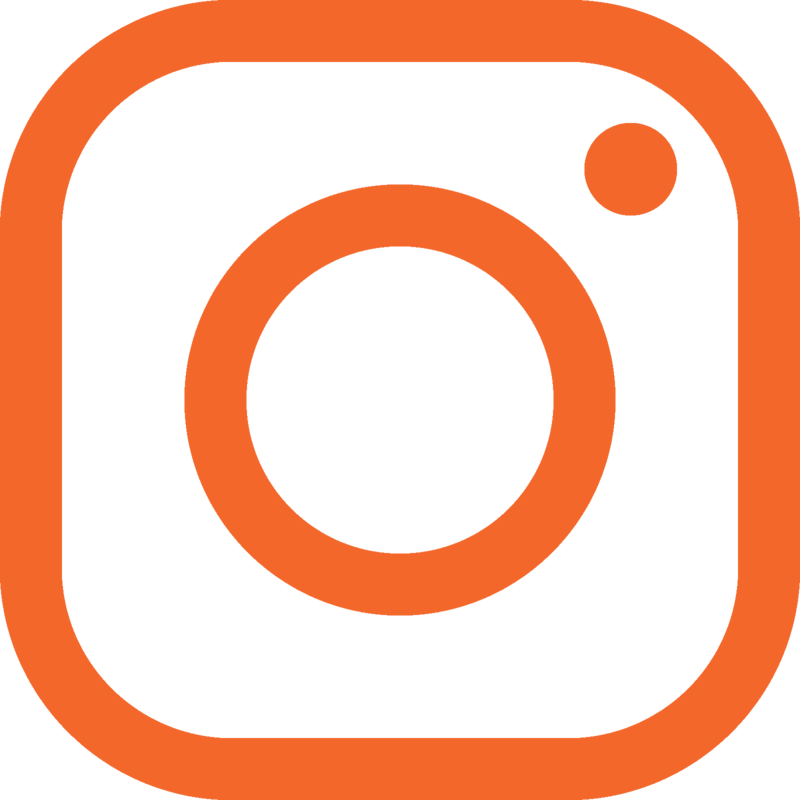 Roller & Compaction Wheel Attachments | MBW Inc.
Skid Steer Roller Attachments MBW compaction attachments for skid-steer loaders offer contractors and rental yards a cost effective, low maintenance alternative to comparatively high cost self-contained rollers. Stick Mounted Static & Vibratory Compaction Wheels MBW static compaction wheels are built to standards suitable for vibratory compactors. That means heavier bearings, heavier shafts with a correspondingly heavy frame that supports the wheel at both ends to minimize frame and shaft deformation. Mini Vibratory Wheel Attachment Introducing an 11” wide VIBRATORY WHEEL ATTACHMENT for mini-excavators with operating weights of 7,000 to 14,000 lbs. 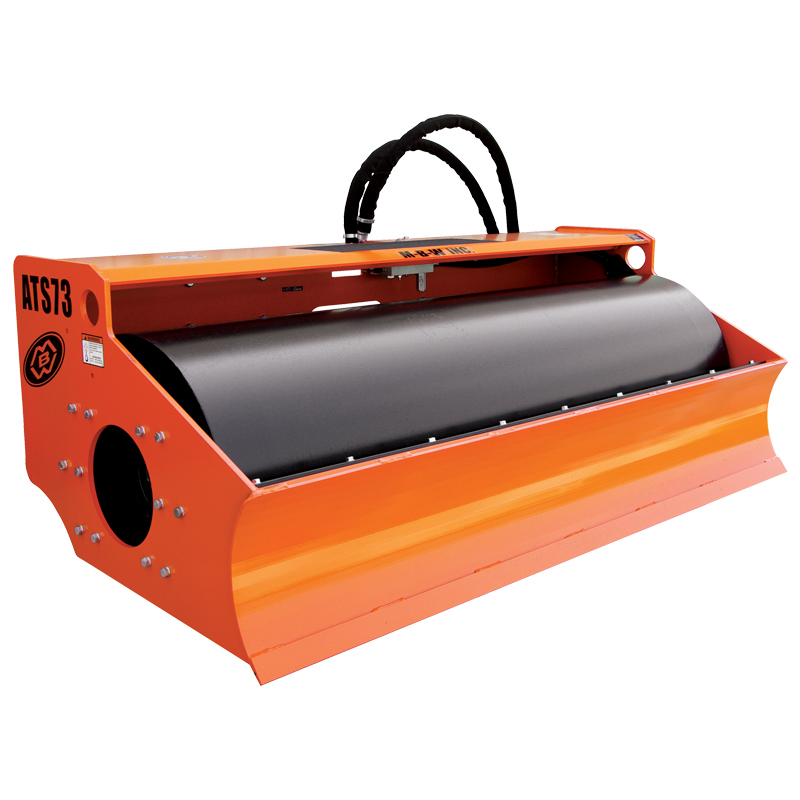 In geo-technical terms, walk-behind rollers are inefficient compactors due to low machine mass. By coupling a vibratory compaction attachment with a much heavier host machine, mass is dramatically improved. Moreover, the operating or cycle speed of host machines is faster than self-contained walk-behind rollers. The combined effect of higher mass and faster working speed is a dramatic gain in productivity. MBW's broad line of vibratory compaction attachments covers the full range of soil types and applications. Our static compaction wheels are ideal for cohesive soils and can be converted to vibratory mode if called for. 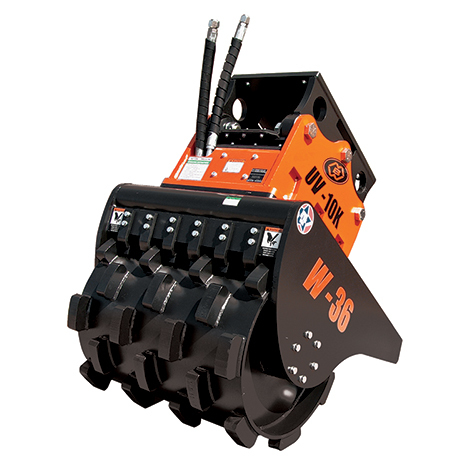 Our heavy duty UVW models features interchangeable padded 24 and 36 inch vibratory compaction wheels. 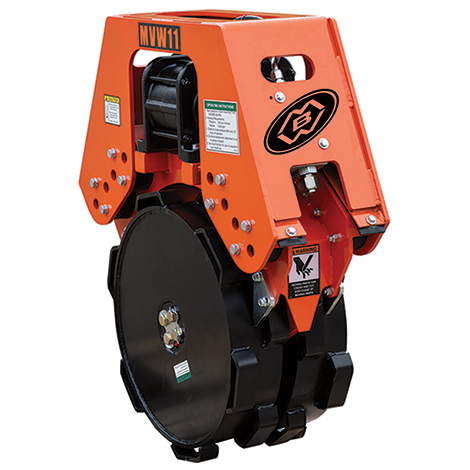 Static and vibratory compaction wheels mount via pins or quick connect coupler to booms or buckets. Operators run static or vibratory compaction attachments from the protected cab of the host machine and stay out of trenches. MBW's range of compaction attachments are covered by multiple US and international patents. Our patents focus on technical innovations designed to keep these compactors running reliably over their useful life. MBW compaction attachments cost substantially less than trench and walk-behind rollers. But the cost analysis only begins there. Productivity is as much as 10 times higher than walk-behind rollers. Maintenance cost are lower. The full cost analysis emphatically recommends MBW's unique range of compaction attachments… which is why we discontinued our walk-behind and trench rollers in 2002.